It’s waterproof, transfers warmth to cold spots, and naturally charges up heat stores — not to mention it’s the strongest material on Earth. So Vollebak made it into a jacket. When shopping for a new rain jacket, you’re often up to your ears in run-of-the-mill features like strategic ventilating systems and adjustable cuffs or materials like Gore-Tex. But what if the next jacket you bought had a Nobel Prize on its resume? 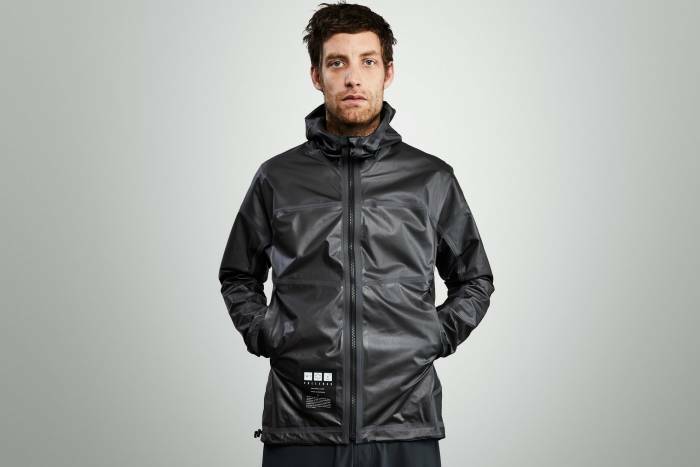 That’s exactly the kind of bragging ammo you’d gain if you opted to purchase Vollebak’s wild new Graphene Jacket. You just won’t be able to put the Nobel Prize on your resume, unfortunately. 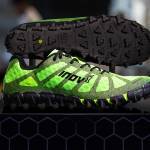 Earlier this summer, British brand inov-8 introduced running shoes with graphene soles. Vollebak’s jacket takes the application to an even broader level. At its core, the Graphene Jacket is like many other high-quality rain jackets you can buy. It protects against water and wind with its reversible design that boasts breathability, fully taped seams, and an adjustable drawcord to bring in the waist. There are even two reversible, laser-cut pockets to keep your hands dry. However, this coat’s claim to fame — and the reason it’s currently sold out, just days after launching — is due in large part to its namesake material. Not only is graphene the most conductive material on the planet, it also happens to be the strongest and lightest. The catch, though, is that it’s not exactly the easiest material to produce at scale and remains incredibly difficult to work with. As such, this unorthodox shell costs a whopping $695. 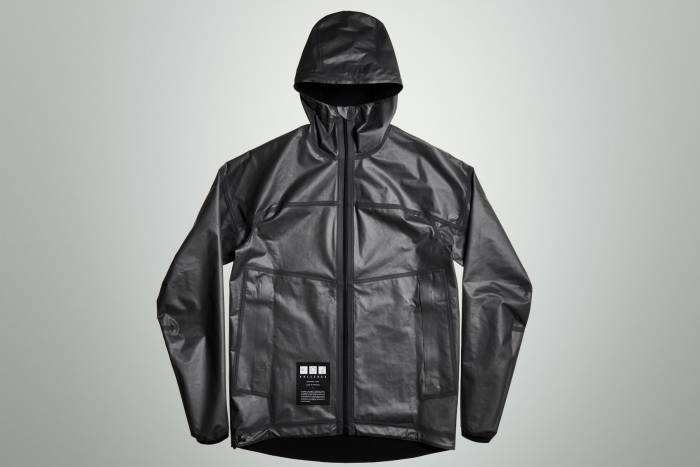 Vollebak’s research and development team devised a way to coat one side of the jacket entirely in graphene. To do this, it found a way to turn raw graphite into graphene nanoplatelets and combined it with polyurethane. 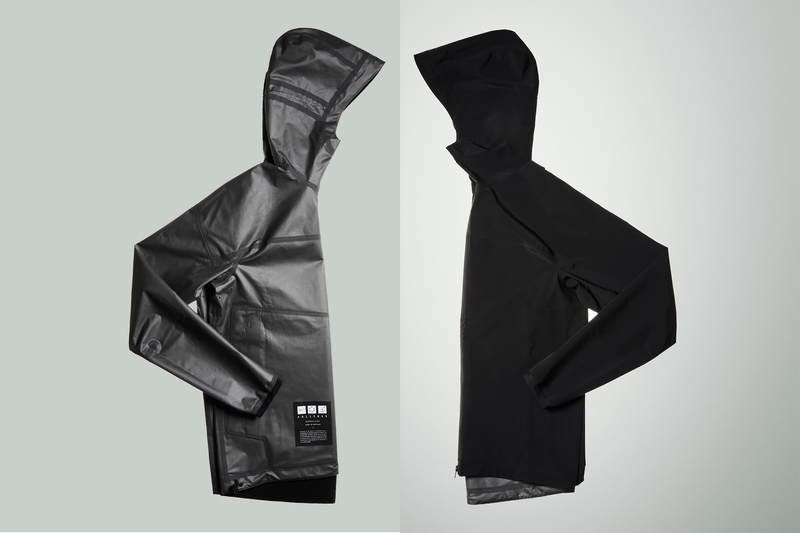 The result was a thin membrane the brand fused with nylon to create one side of the jacket’s material. Why only one side? Vollebak says it offers the ability to see a difference in function. 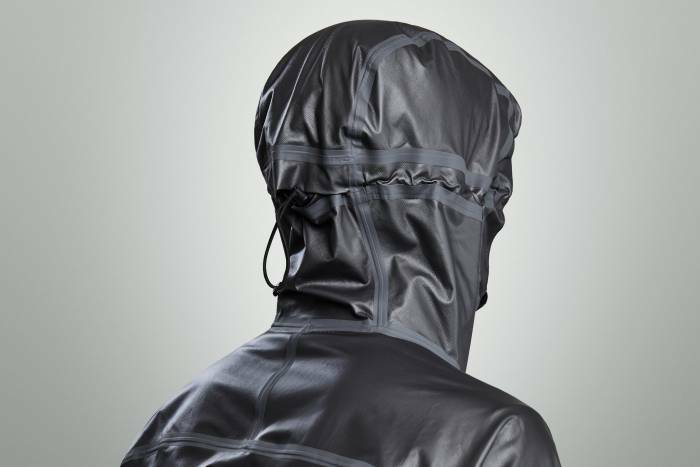 With the other side featuring a stretchy, high-strength nylon, the Graphene Jacket gives wearers two completely different experiences whether they wear it close to their skin or facing outward. When wearing the jacket facing inward, the graphene works to warm you up. It conducts heat from warmer parts of your body and transfers it to colder areas (arms and hands), equalizing the temperature of your skin. Vollebak says its own lab tests show the material functions more effectively the closer it is to your skin. In theory, this means wearers could ditch thick base- or mid-layers in favor of a light shirt to allow the graphene to conduct the most heat. And Vollebak claims it does all this while creating less humidity than a typical heat-conducting membrane. Vollebak says wearing the graphene on the inside produces the best results — better waterproofing, lower humidity, heat-conducting, etc. But wearing it with the graphene facing out offers some unique benefits too. If it’s sunny outside but the temperatures are dropping, wearing the jacket graphene out allows the exposed membrane to absorb heat. When ready, simply flip the jacket inside-out, and the graphene layer then spreads that retained heat across your body. And sweating in this coat should be no problem. Vollebak advertises graphene’s “bacteriostatic” properties, meaning bacteria can’t grow on graphene. And, according to the brand, that inhibits nasty sweat smells. What’s perhaps most impressive about Vollebak’s Graphene Jacket is the fact it’s simply an experimental prototype — albeit an expensive one. The brand says it hasn’t perfected the material’s function and intended use. But Vollebak still wanted to get the Graphene Jacket into buyers’ hands immediately. Equating its efforts to that of Apple’s first computer, the Apple 1, Vollebak said, “Every piece of technology has to start somewhere.” The idea is to get it out into the wild, heed feedback, and make it better — all while its R&D team devises a way to make it cheaper and easier to work with. 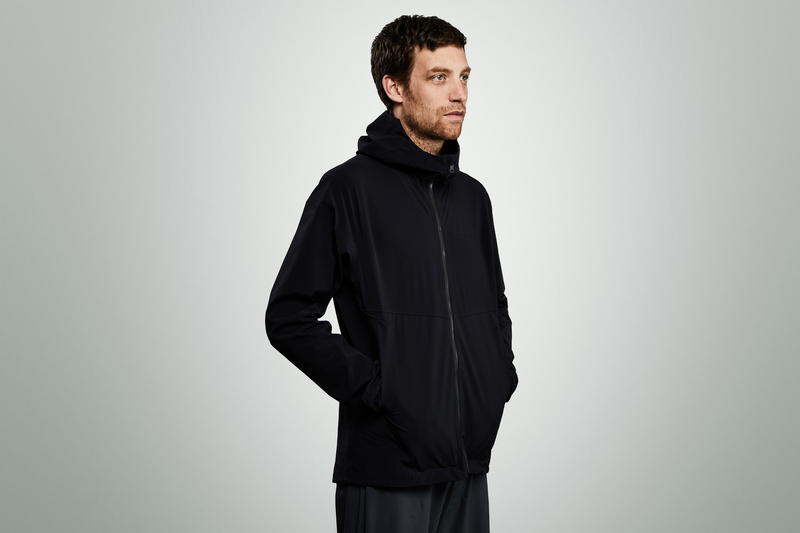 If it were any other brand but Vollebak, the Graphene Jacket may seem like a one-off experiment. But this is the same brand that manufactured and released a phosphorescent, solar-charged rain jacket capable of glowing in the dark for up to 12 hours. And who could forget the performance shirt that came pre-stained with fake patches of sweat, dirt, and blood? Vollebak makes its name by pushing the envelope, often teetering between outrageous concept and next-gen technology. 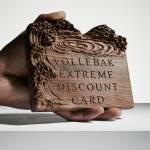 And if the Graphene Jacket seems too far out and expensive for you, remember: You can always search for the Lifetime Discount card Vollebak hid somewhere in the world.